Hey folks, it’s Father’s Day again and, as usual, we here at TopSpeed are celebrating by talking about automobiles. Since Father’s Day is about honoring fathers and celebrating fatherhood and paternal bonds, we thought it would be appropriate to look back upon some vehicles from the past. Not because being a father makes you old, but because knowing your ancestors is an important part of life. In this case, we want to showcase the fathers of some of the most popular present-day car segments. Our article covers muscle cars, mid-engined supercars, SUVs, all-wheel drive rally homologation specials, and shooting brakes. We basically take a glance at each segment’s history and then highlight the vehicle that invented the niche or turned it into a mainstream thing. Some were easier to cover, while others were a bit more difficult due to the lack of pre-WW2 information, but the article should give you a good idea about which car is responsible for each of the five segments listed above. In case we forgot something, be sure to point it out in the comments box below. You can also tell us what segment we should have covered and why. Happy Father’s Day! Although muscle cars became popular starting with the mid-1960s and the muscle car Detroit war reached its peak in 1969-1970, the concept is much older than that. Studebaker, for instance, created quite a stir performance-wise with 275-horsepower Golden Hawk in 1956, while the Rambler Reber arrived as the faster production sedan thanks to its 255-horsepower, 5.4-liter carbureted V-8 engine. 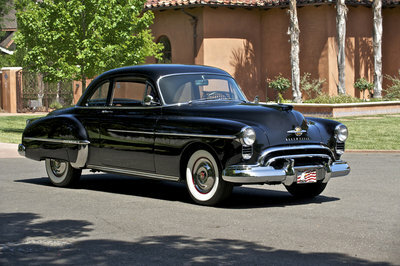 However, most historians agree that the first muscle car was the first-generation Oldsmobile 88. Launched in 1949 as a replacement for the straigh-six-engined 76 model, the 88 used GM’s then-new Futuramic B-body platform and was made available in various body styles. What made the 88 special was Old’s brand-new 5.0-liter V-8 engine. Nicknamed the Rocket, it had hydraulic lifters, an oversquare bore-stroke ratio, a counterweighted forged crankshaft, aluminum pistons, floating wristpins, and a dual-plane intake manifold. Although its 135-horsepower rating is far from impressive to today’s standards, the 263 pound-feet of torque available from as low as 1,800 rpm gave it unrivaled performance potential that no other car from the era was able to match. The Hudson Hornet was the only automobile that came close, but its 1951 launch gave the Rocket 88 two dominant years on the market. Created in response to public interest in speed and power following the resurgence of hot-rodding after World War II, the Olds Rocket 88 dominated not only the newly founded NASCAR Sprint Cup Series in 1949 and 1950, but the performance market as well. The streamlined coupe inspired most American automakers to develop their own performance cars, which eventually led to the horsepower wars of the 1960s that gave us iconic models such as the Ford Mustang, Chevrolet Camaro, Dodge Challenger, and Plymouth Barracuda. The 88 nameplate survived until 1999, five years before GM discontinued the Oldsmobile brand, but one of the following generations had a more significant impact than the original Rocket. And, while the 1949 model is no match for the muscle cars that followed, it dully deserves to be remembered as the father of America’s performance coupe. Much like the muscle car, the supercar began making waves in the 1960s, around the time the Ferrari 250 GTO was launched. However, the term dates back to 1920, when an advertisement for the Ensign Six claims that "if you are interested in a supercar, you cannot afford to ignore the claims of the Ensign 6." Pre-World War II examples of supercars include the 1910 Mercer Raceabout, 1912 Stutz Bearcat, Duesenberg SSJ, and the Bugatti 57SC, also known as the Atlantic. In the 1950s, the limited-edition Mercedes-Benz 300 SLR took over as the reigning supercar. All of the above have one thing in common: they feature a front-engined layout. The whole supercar business went through a dramatic change in the 1966, when Lamborghini, a relatively new company, launched the Miura. Developed to compete against the Ferrari 275 series, the Miura had a sleek, muscular design and, much like Maranello’s two-door coupe, a V-12 engine. However, the new Lamborghini had something no other road-going vehicle offered until then: its powerful engine was mounted transversely behind the seats. This made it the world’s first mid-mounted high-performance sports car and the car to have instigated the modern supercar trend. 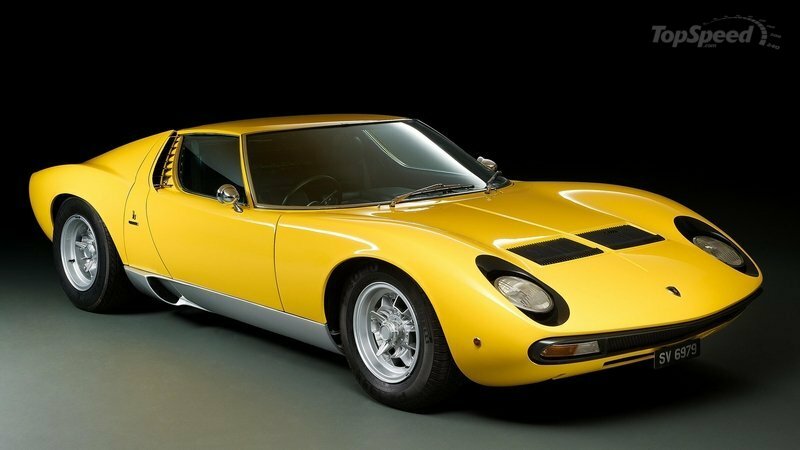 Built until 1973 with various updates, the Miura was plagued with several issues, including an overheating drivetrain and lack of stability at high speed due to aerodynamic lift. But, despite these problems, it quickly rose to fame thanks to its design and innovative layout, prompting some of the most important sports car manufacturers to adopt the configuration. Ferrari and Maserati were among those brands that followed suit. Today, nearly all important supercars sport a mid-ship layout, and the Miura is directly responsible for that. Extremely popular nowadays, the SUV rose to fame in the 1990s. Realizing that they could enjoy profit margins of around $10,000 per SUV, North American automakers began investing heavily in marketing for this type of vehicle. Drawn by the large cabins, higher ride height (in most cases off-road capability too), and perceived safety, buyers shifted from full-size station wagons and minivans to SUVs, giving birth to the biggest auto trend in the late 20th century. In Australia, for instance, SUV sales increased due to the fact that they had much lower import duty than passenger cars did, so they cost less than similarly equipped import sedans. More recently, the premium SUV segment has also gained a lot of traction thanks to offerings from BMW, Mercedes-Benz, Audi, Porsche, and Cadillac. But, while the beginnings of the luxury SUV can be traced back to the 1987 Jeep Grand Wagoneer, how old is the SUV and which company first used the concept? Although it is commonly believed that the first SUVs were descendants from military vehicles such as the Willys MB Jeep, which spawned the Jeep Station Wagon in 1948, the concept is actually older than that. The first vehicle closely related to the present-day SUV was launched in 1935 by Chevrolet. It was called the "Carryall" Suburban. It had a long, wagon-type body, and shared the frame as Chevy’s 1/2 top pickup truck. Chevrolet actually built something similar prior to the first-generation Suburban, but they featured wood bodies and were specifically made for the National Guard and Civilian Conservation Corps. For the regular production, civilian model, Chevy switched to all-metal bodies. The eight-seat configuration, on the other hand, was maintained, a detail that helped establish the Caravan as the first SUV. The 3+2+3 seating layout and the side-hinged rear doors or tailgate provided access to a roomy cargo section. The Caravan was redesigned in 1941, gaining a longer wheelbase, more powerful inline-six engines, and a GMC-badged version. Another interesting fact is that the Suburban is the longest running nameplate in history, having been built continuously since 1935. Needless to say, the Suburban is also one of the most important cars built in the United States. High-performance cars have evolved dramatically over the last decades. Not only more powerful and aerodynamic, they’re also significantly more capable on the track due to their modern chassis concepts, lighter materials, and state-of-the-art technology. Another feature that makes a big difference nowadays is all-wheel drive. Have you noticed how most performance vehicles, including sports cars and supercars send their power to all four corners? For several reasons, this wasn’t possible when Lotus began building its lightweight sports cars or when Ferrari launched the mighty 250 GTO. So when did it all began? To find out more about it we need to go back to 1977, when John Bensinger, Audi’s chassis engineer, took a ride in the Volkswagen Iltis, a small Jeep-like military vehicle, to find out that it could outperform any other vehicle in snow, no matter how powerful. Bensinger immediately thought about a high-performance car with four-wheel drive and unveiled his idea to Audi. The Germans were quick to adopt the project and the first-generation Quattro was born. As a permanent four-wheel drive system, it had locking center and rear differentials and a non-locking front differential. The system debuted in the Audi Quattro two-door coupe in 1980. Also called the Ur-Quattro, the front-engined two-door spawned both a road and a rally car. The latter was arguably the more important of the two, being the first vehicle to take advantage of the then-recently changed rules which allowed the use of four-wheel drive in competition racing. 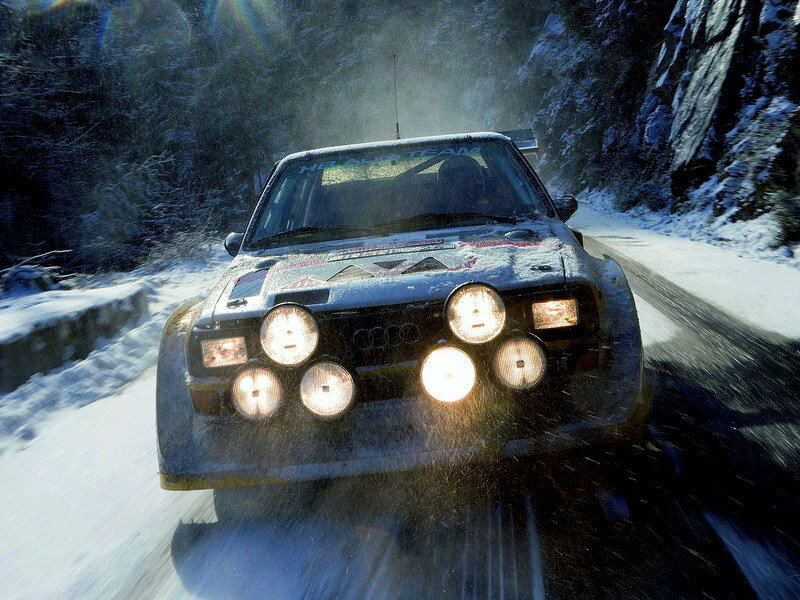 After an initial experimental season, the Audi Quattro began winning races and dominated the World Rally Championship from 1982 to 1984. 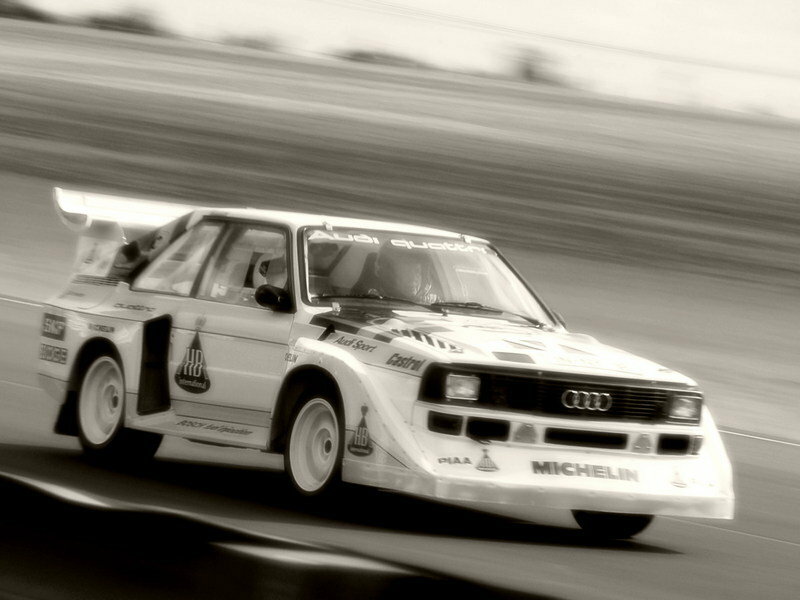 Audi won the manufacturers’ title in 1982 and then helped Hannu Mikkola and Stig Blomqvist clinch the drivers’ championship in 1983 and 1984 respectively. Its success changed the WRC scene permanently, with nearly all automakers switching to AWD and building legendary race cars such as the Peugeot 205 Turbo 16, Lancia Delta Integrate, Toyota Celica GT-Four, Subaru Impreza, and Mitsubishi Lancer Evo. The Quattro also played a key role as a road-legal, production model, laying the foundation for a new category of all-wheel drive performance sedans and hatchbacks, including the Impreza and the Lancer Evo. Also, the Quattro system is now among the most important features that come with high-performance Audi models, including the RS5, TT, and R8, and continues to be used in motorsport. Although AWD performance vehicles would have made it on the market sooner or later, we awe it to Audi for having them on the streets in significant numbers as early as 1985. Unlike muscle cars, supercars, SUVs, and AWD performance cars, the shooting brake was never a mainstream model. There are many reasons for that, but arguably the most important is that this body style was the work of coachbuilders for many decades and very few automakers ventured to use the layout on production models. Contemporary shooting brakes are limited to the Mercedes-Benz CLS Shooting Brake and the Ferrari FF/GTC4Lusso, while earlier examples include the Chevrolet Nomad, Volvo P1800ES, and first-generation Mini Clubman. But, despite not being popular with automakers or buyers, the shooting brake is seen as one of most exotic body styles ever created and many custom-built models are praised for their unique look and auctioned for huge amounts due to their extreme rarity. Hence the need to have it on this list. The term "shooting brake" is said to have originated in the early 19th century. It was attributed to horse carriages used to carry shooting parties and their firearms and dogs. Later on, it was applied to motorized, custom-built cars with wagon body styles and generous luggage room. 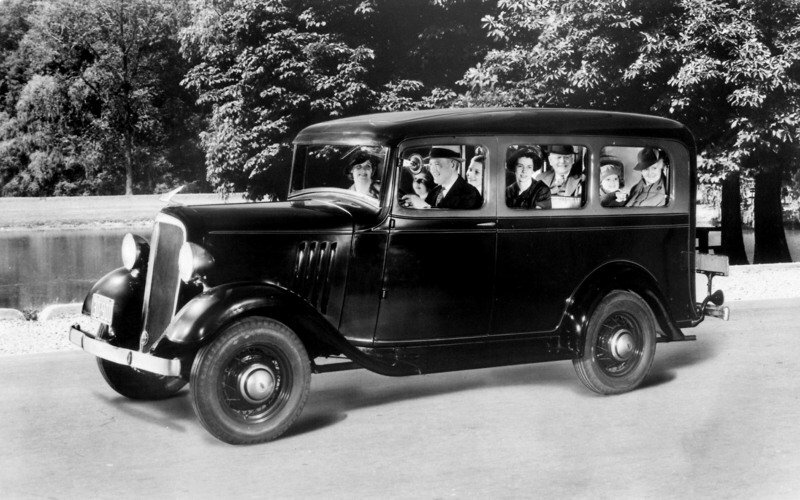 The first motorized shooting brake is believed to have been built in the late 1900s in Britain. Scottish company Albion Motor Car was among the first to create a vehicle suitable for hunting parties, but a Rolls-Royce’s Silver Ghost-based model of 1910 is a more famous example. 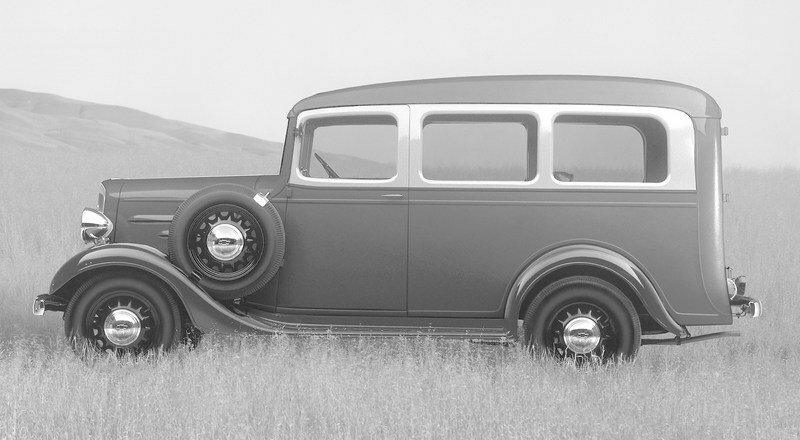 However, these models were still far from the iconic shooting brake concept with the sleek, long roof, as they still resembled carriages and had a more truck-like appearance. 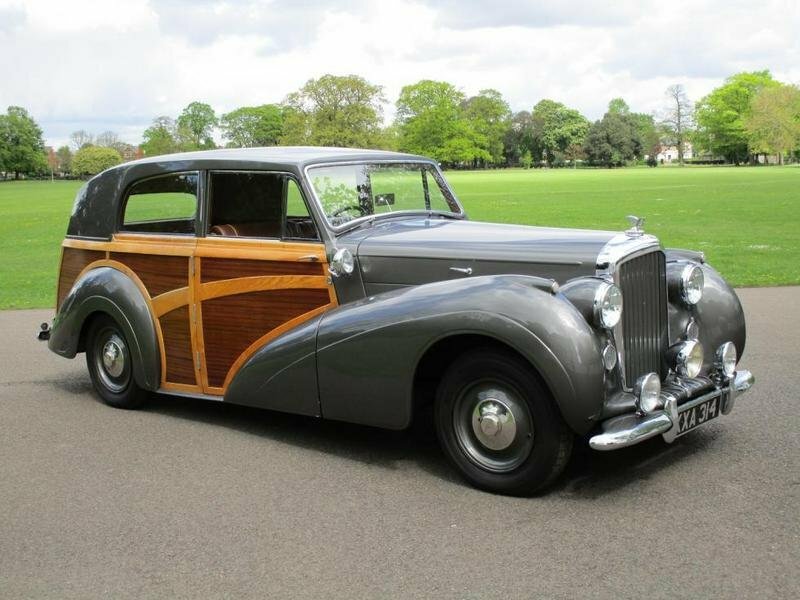 It wasn’t until 1947 that coachbuilder Harold Radford refined the body style by creating the Countryman, a two-door luxury wagon based on the Bentley Mark IV. 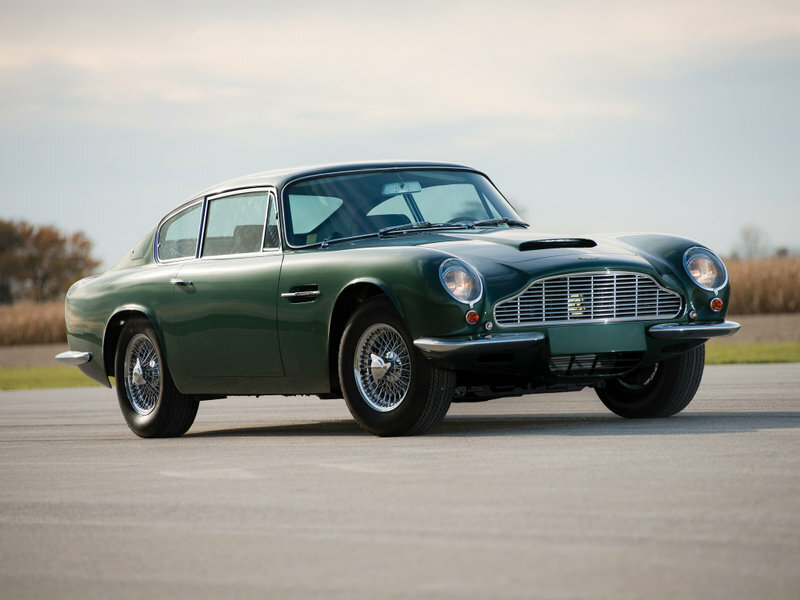 Sure, it doesn’t have the sporty appearance of more recent shooting brakes based on the Aston Martin DB6 or DBS, but it had rear seats that fold flat for an impressive luggage storage area finished with beautifully varnished wood panels. It was utilitarian, yet stylish and luxurious, meaning it had the defining feats of a proper shooting brake. Above all, it was a Bentley and came with the horsepower and cachet you’d expect from one of Britain’s finest carmakers.